Once we hit our 40's, eating healthy should become the norm rather than a fad. But let's face it, we still enjoy a slice of decadent chocolate cake or a slab of juicy steak when opportunity knocks. We all have our guilty pleasures when it comes to food. And the holidays seem to make it worse, as the extended family gathers and (maybe for most of us) we put up with each other's company. But that's what family is all about. Last Christmas, I had the chance to share my guilty pleasure with my family. This is my version of the iconic Italian dish Porchetta. It is the savory, fatty, succulent and ever so tempting pork dish that is always a crowd-pleaser. 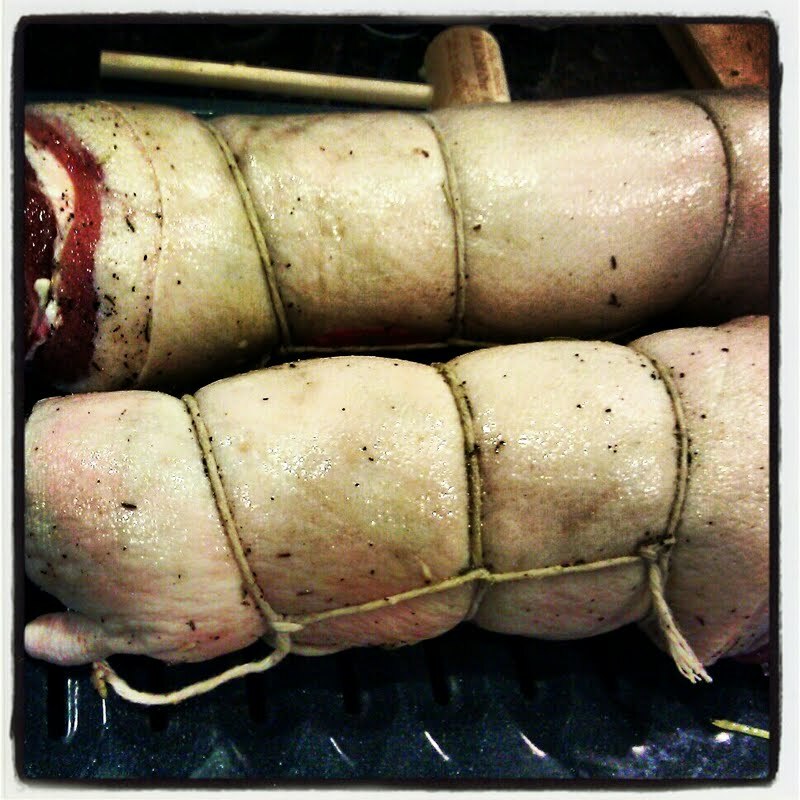 From your local Italian restaurant to Mario Batali, a Porchetta recipe is easily available. For my recipe, I used a rolled pork belly stuffed with lemon-grass, thyme, rosemary, bacon and generously sprinkled with garlic, salt and pepper. I gently tied the pork "roll" with cooking twine and baked it in a bain-marie for a couple of hours. The result is a plate of juicy,well seasoned slice of pork with the crispy skin attached. I am glad this is only shared at parties or featured to celebrate the holidays, as it may be too much of a good thing if I have this more often. Using a mortar and pestle, pound the lemongrass. Make sure to get the juices out. Add the garlic and continue to pound. Add thyme, rosemary and generous amount of salt and pepper. Set lemongrass mixture. Lay the pork belly on a flat surface with skin side up. Using a meat mallet, pound the skin all over. This will make the skin crispy. Flip the belly and rub the lemongrass mixture generously. Spread a thin layer of the chopped bacon. Roll the pork and secure with cooking twine. Let the pork belly sit at room temperature. Preheat oven to 450 degrees F.
Use a baine marie and place the pork belly. Cover with foil. Bake for 20 minutes and reduce temperature to 375 degrees F. Bake for 1 hour. Remove cover. Bake it for another hour or until roast reaches an internal temperature of 145 degrees F.
Set the oven on broil until the skin is crispy and mahogany brown. This takes a few minutes so better keep an eye on it. Let it rest for 30 minutes. Thank you for writing again I was worried sick you'd stop LOL! Thank you for sharing this recipe. I will make it soon and I am sure that I will be in porcine heaven. Have been busy at work kasi. I hope to be regularly posting soon. thank you for your patience. 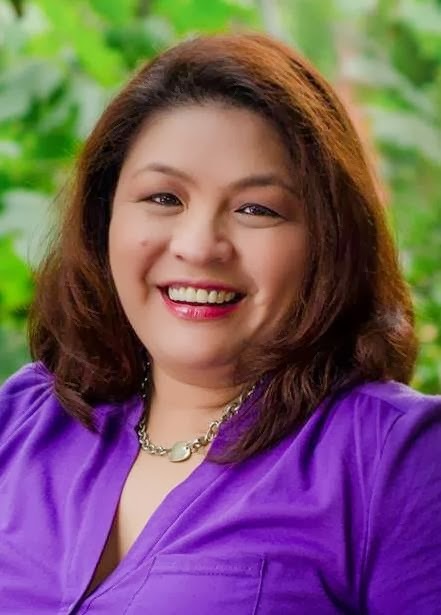 Heya Malou. Welcome back. Glad to see you get your mojos in writing a new post. But the only problem of this post is that Stephen is craving for it. With this kind of snowy weather, he has to wait. That's not good. Not good. LOL! OH no you have to resolve that craving. Maybe when the snow melts haha. Thanks for your blog love. Oh my gosh, Malou, it is so hard to look away from these photos. 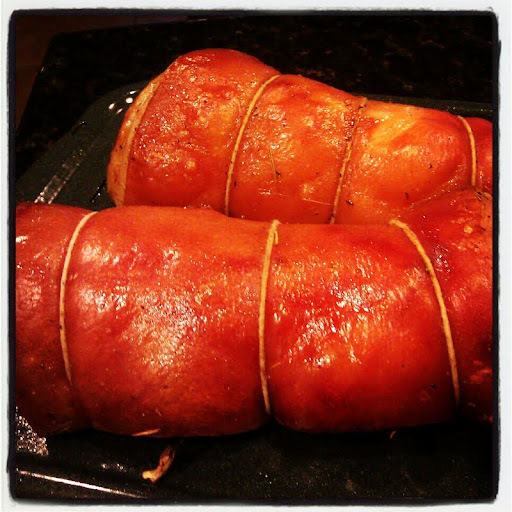 This porchetta is so good, just like our own lechon sa hurno. Thanks for the recipe! Bookmarked this. Making this for sure at Easter, right after our 40 day fast of no meat on Fridays. My family will devour this. Thanks for sharing your wonderful, original recipes ! Happy love month to you and good wishes for the Chinese Lunar New Year today! oh yeah which reminds me no meat Fridays soon na pala. Thanks for the reminder Betty Ann. when I saw this on IG, my mouth watered! haven't had this in a Looong time! Hope I can try to make it someday! You should really have it sporadically kasi... but let me know how it goes when that time will come. Have a grEAT week! Love porchetta :) Definitely a guilty pleasure but so good! I like the mix of herbs - lemongrass, rosemary and thyme is an interesting mix.